Thoughts from Brahma Kumaris: When we have the switch of awareness on, our mood will never go off. When we have the switch of awareness on, our mood will never go off. Projection: When something goes wrong we find that our mood goes off immediately. We then lose all enthusiasm and all our thoughts become negative. To change negative thoughts to positive then becomes difficult. Solution: Like one single switch brings light into a dark room, our own switch of awareness will bring positivity in our mind. We can take a thought like 'I am the master of my own life' or 'nothing can go wrong today' right in the morning. 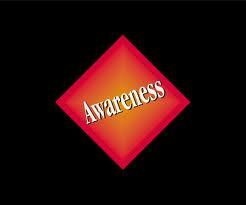 When we have this awareness on, we will never have our mood off. In last two days’ messages, we have explained the process of restoring positivity in the mind when faced with a negative situation, where the most common response is a negative one but the mind can be trained to respond in a different way, in a positive way. Today we explain this process with an example. e.g. You have just had a major argument with your spouse and have lost your temper. At that time, not only your mind but your physical body also feels uncomfortable - it is in a state of complete stress. You feel your blood pressure has suddenly shot up, your heart is beating fast, you feel uncomfortable in the stomach, your hands are shaking, your face and eyes are red. On top of that, you also feel sad. You have behaved like this many times before and you know the results of responding in this way. The relationship has been scarred and you have worsened a situation. This could have been avoided. There is sorrow, guilt, low self esteem and hopelessness over your loss of control. Also, there is a fear regarding your future, not necessarily a long term one, because things will get sorted out sooner or later, but a short term uncertainty does exist, especially regarding what your spouse's response will be in the next few hours or days. In this state of mental and physical helplessness or desperation, anger may come again either projected towards yourself or towards your partner, which will be followed by the same effects, worsening your state further. In this moment of lack of spiritual wisdom, you remind yourself of the simple wisdom that you are in fact a soul. Even while you are still caught up in the turmoil of the negative situation, using your intellect, you consciously emerge inside yourself, your true awareness of being a sparkling point of peaceful light situated just above the eyes, at the center of the forehead. You not only become aware but you also use the intellect to visualize your true, peaceful, spiritual and star-like form clearly. In that moment, you are able to tap into the reservoir of peace that is present deep inside your being. You calm your mind by holding on to this awareness for a few minutes. You feel - you know - that you are peace. As this experience grows, it has a soothing effect on your whole physical system. Gradually, stability and peace are restored to your body as well as your mind.